The Robin Hood Tax is a galvanizing issue for this historical moment, and it's a winnable fight to boot. It is a financial transaction tax that takes .05% from Wall Street transactions. Just .05% creates $350 Billion dollars a year in new revenue for America. $350 Billion pays for universal healthcare, $350 Billion ends students debt, $350 Billion funds a green jobs program and much much more. 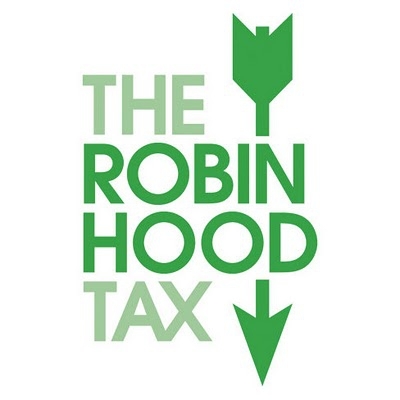 The Robin Hood Tax is movement legislation. It is a long-term fight for a more just world. The National Nurses Union, Transit Workers United, Vocal NY, Act UP and Occupy are throwing our collective weight behind this issue on Sept. 17th to begin to chart a vision forward out of perpetual Environmental and Economic Crisis. Come together with us for a Direct Action Training and Visioning at the Brooklyn Commons at 388 Atlantic Ave.
Let’s dream about how to best make a tangible impact this S17. We have a rough sketch of plans so far, but in order to create an action of creativity and finesse, we need you! We hope to see you there for this important brainstorm session where we’ll create a concrete plan for how we should proceed. Very worthy of support. Unlikely the MSM will mention it because a huge majority of Americans would support this if they knew about the details. Solidarity to http://robinhoodtax.org/ - and you make a great point. Never Give Up On Spreading The Information! Occupy The Issues! The need for a Financial Transaction Tax - especially when the rest of us pay taxes on just about everything, is really a total no-brainer for most people but as our government has been so totally captured by Wall Street, then such obvious ideas do not get a look in. One of the reasons for the refusal to pay a tiny percentage of tax on financial transactions, is that it could reveal the extent of High Frequency Trading transactions and their potentially highly fraudulent nature. Never Give Up Fighting For Fairness! Occupy Wall Street! Definitely MORE like those you mentioned. This election cycle is not promising, more pressure from the street is required. http://robinhoodtax.org/ is totally a fair way to raise taxes for major governmental investments in pubic infrastructure but oligarchs and plutocrats and psychopaths like The Kochs hate the idea of course - http://www.nationofchange.org/2014/11/12/koch-backed-nonprofit-raised-44-million-2013/ and they are a huge threat to US Democracy - such as it is! Never Give Up On The 99%! Occupy The 1%! Solidarity. I always thought this was a great action, glad its getting some more play. Tossing in some kind of time limits in trading would be nice as well, something like if you make a trade you have to wait 60 seconds before making another one. Corps paying fair share of taxes? In compliment: NYPD shoot themselves again. Occupy supports RobinHood Tax. & still fighting for it. Provide info, let the people decide. Are you really that bald or is your neck just blowing a bubble?